Where to find Norwood hotels near an airport? 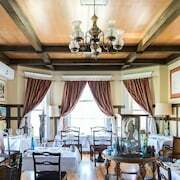 Where can I find hotels in Norwood that are near tourist attractions? If you choose to book accommodation near the middle of Norwood, there are a limited number of accommodations. Norwood offers 2 quality hotels and apartments, all within a 0.1-kilometre (0.06-mile) radius of the downtown area. There are a number of Expedia-listed hotels within a 10 kilometres (6 miles) radius, such as the Windswept on the Trent and Hastings House Bed & Breakfast. You could try the Viamede Resort and also the The Campbellford River Inn. The Viamede Resort can be found 25 kilometres (15 miles) from the heart of Norwood. 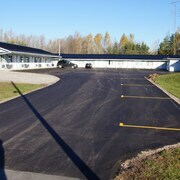 The The Campbellford River Inn, is located 17 kilometres (10 miles) away. 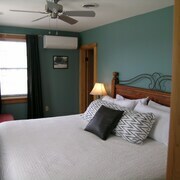 Alternative hotels and apartment options include the In Season Guest Suite and the Blue Jay Motel. Why don't you visit the other attractions of Southern Ontario while you are in the region? Southern Ontario offers beaches, coastal plains and forests. Popular Southern Ontario tourist attractions include traditional villages, churches and art museums. In this region of Canada tourists might partake in skiing and cross-country skiing. 90 kilometres (55 miles) away from Norwood is Oshawa, where you can find Oshawa Centre and Darlington Provincial Park. 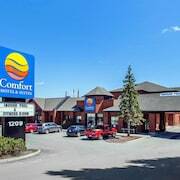 Oshawa hotel options include the Quality Suites Whitby and Comfort Inn Oshawa. 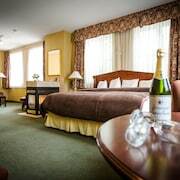 Alternatively, you could stay in Peterborough, 30 kilometres (18 miles) to the west of Norwood, where you can pick from the Holiday Inn Peterborough-Waterfront, ON and Best Western Plus Otonabee Inn. The Riverview Park and Zoo and Peterborough Lift Lock are a couple of the popular sites to see in Peterborough. Just because you're on vacation, doesn't mean you can't indulge in your love of all things sport. General Motors Centre is 90 kilometres (55 miles) to the southwest of Norwood. 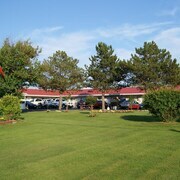 Sleep near the action at the La Quinta Inn & Suites Oshawa or the Durham Hotel East & Conference Centre. If you are flying into or out of Norman Rogers Airport and plan to stay nearby try Travelodge Kingston LaSalle Hotel or Bayside Inn & Waterfront Suites. 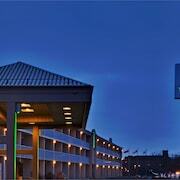 What are the most popular Norwood hotels? Are there hotels in other cities near Norwood? 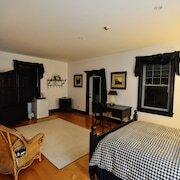 What other types of accommodations are available in Norwood? Explore Norwood with Expedia.ca’s Travel Guides to find the best flights, cars, holiday packages and more!